She was born in Detroit… on an automobile assembly line. But she is no ordinary automobile. Deep within her chassis lives an unholy presence. She is Christine – a red and white 1958 Plymouth Fury whose unique standard equipment includes an evil, indestructible vengeance that will destroy anyone in her way. She seduces 17-year-old Arnie Cunningham (Keith Gordon), who becomes consumed with passion for her sleek, rounded, chrome-laden body. 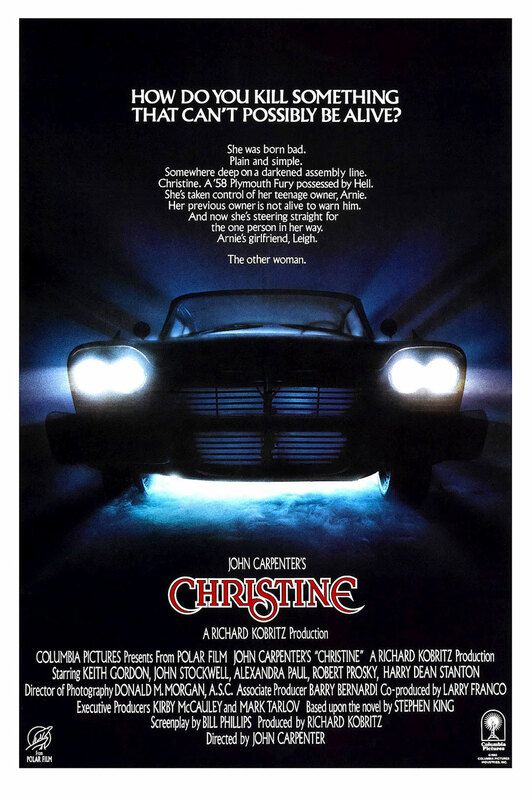 She demands his complete and unquestioned devotion and when outsiders seek to interfere, they become the victims of Christine’s horrifying wrath. Based on the book by Stephen King.